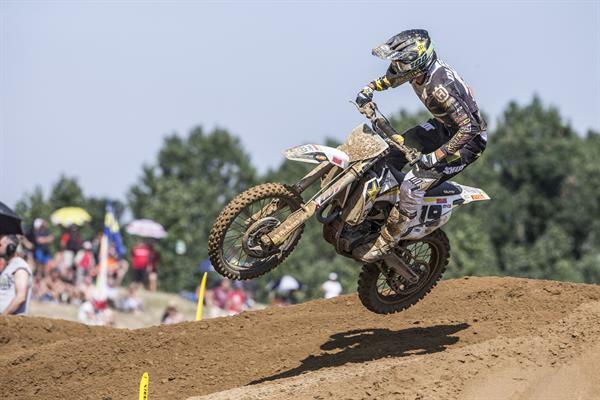 Rockstar Energy Husqvarna Factory Racing’s Gautier Paulin has finished as runner-up at round 11 of the 2018 FIM World Motocross Championship. 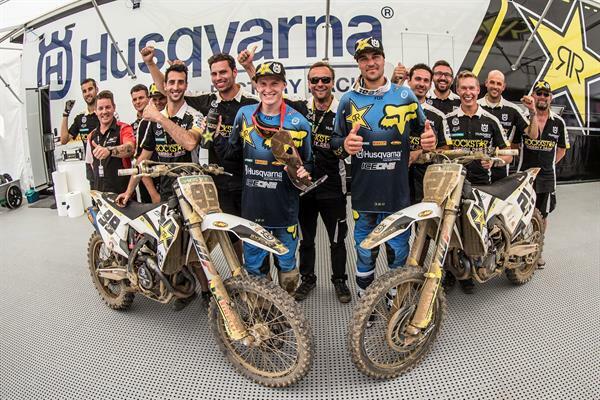 He was joined on the overall podium by team-mate Max Anstie in third. In the MX2 class there were further positive results as Thomas Covington took second overall with Thomas Kjer-Olsen placing fourth. Held at the sandy Ottobiano track in northern Italy, the MXGP of Lombardia proved to be a tough race for all competitors under the heat of the summer sun. In similar conditions to last year’s race, stamina and a smooth, energy conserving style were key to a top finish. In the MXGP class it was Max Anstie who found impressive form in race one to move through the field to take his first race podium of the season. Despite the pressure, Anstie rode with notable confidence to move into the top-three, narrowly missing out on second in the final stages of the race. 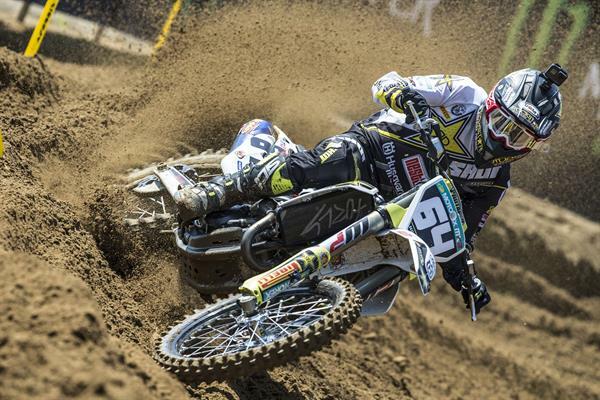 Gautier Paulin, riding smooth and consistent on the Italian sand, claimed fourth at the flag. MXGP race two proved trickier for the FE450 mounted pair as they found themselves just inside the top-10 after lap one. After chasing down and passing the riders ahead, it was Paulin who claimed the podium spot in third, with team-mate Anstie just seconds behind in fourth. 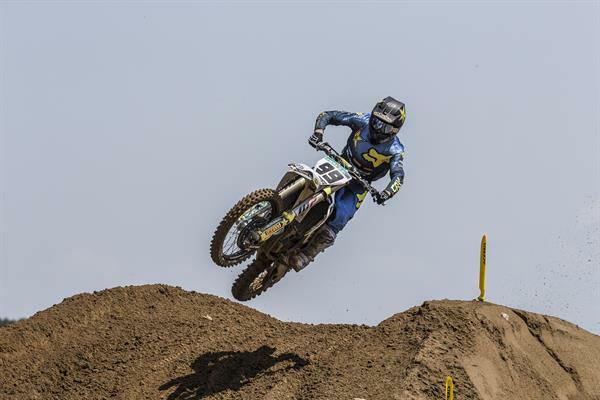 The strong results over both motos gave the Rockstar Energy Husqvarna Factory Racing a double podium finish with Paulin taking second overall and Anstie third – both riders tied on points for the event. Following his win in Saturday’s MX2 Qualifying Race, Thomas Covington rode a strong race one. Just pipped to the holeshot, Covington immediately set about chasing down the leader before moving into first position mid-way through the race. The American, riding smooth and fast in the difficult conditions, controlled the pace perfectly from the front to take the win by over five seconds. Thomas Kjer-Olsen also had a great first moto, battling his way through the field to claim fifth place at the finish. In the second MX2 moto, Covington made another solid start, running within the top-three. Towards the close of the race he was passed by Kjer-Olsen who took second at the line. Covington would take fourth position, enough to elevate him from eighth to sixth in the MX2 championship standings. Kjer-Olsen retains second as the 2018 season hits its halfway point. The Rockstar Energy Husqvarna Factory Racing team will return to action at the 12th round of the 2018 FIM Motocross World Championship in Indonesia on June 30 - July 1.